being together, grows into a holy temple in the Lord. In him you also are being built together into a dwelling place for God by the Spirit." Community of Grace launched a three year Capital Campaign entitled: We Plant, God Grows. This page is dedicated to keeping the members of Community of Grace informed on the campaign and its progress. Community of Grace Capital Campaign goal is to raise $95,000 for debt reduction and $40,000 for Building Fund Savings Account. What is the Capital Campaign? CoG Capital Campaigns are a three year campaign to cover the cost of our mortgage payments. Why Should I pledge? CoG needs a three year budget for the capital campaign. By completing a pledge card, we are able to project our income and meet the goals for the church. How much money do we need? The goal to raise $135,000 or $3,750 per month over the three year campaign. this goal assures current mortgage obligation as well as starting a Building Fund Savings Account. Building Fund Savings Account would be used for mortgage shortfalls and to pay for catastrophic events such as roof leaks, air conditioning system replacement or repairs and maintenance. What am I expected to give? Reflect on your blessings from a generous God. Ask Him for direction and be open to the Spirit. What is the difference between the Regular Offering & Capital Fund? Regular offering is pledged each year and covers: Utilities, Ministry, Staff, Insurance, in general, the operating cost for CoG and benevolence to our Synod. 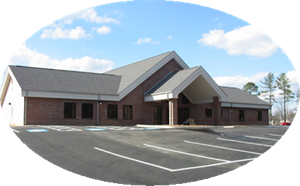 Capital Fund covers our mortgage payment and emergency expenses associated with the building and ministry.